At last, he will come again! will be held on July 19-20. “Aya no Tuzumi” , The Damask Drum. “Kantan” , The Magic Pillow. Venue The Yamanakako community center. 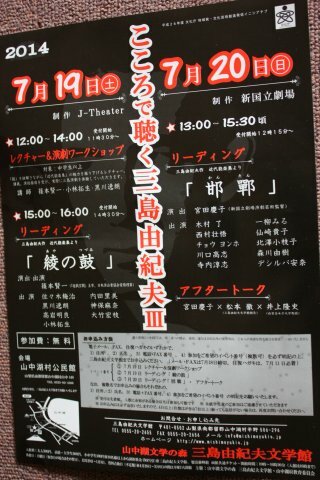 You can enjoy the plays of Yukio Mishima.